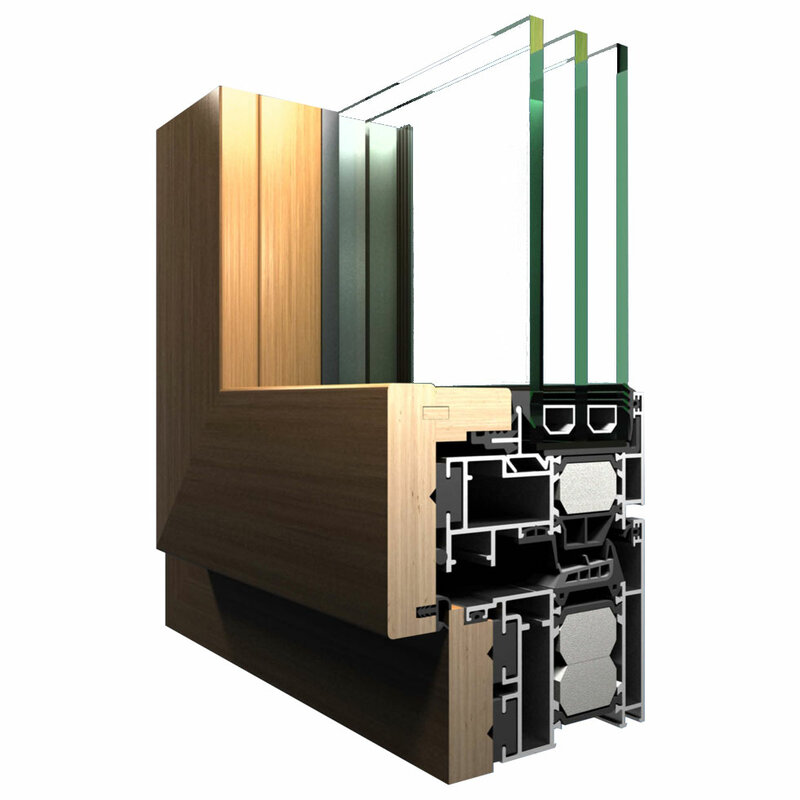 System ALD 9100 represents the construction of aluminum profiles with thermal breaks that make polyamide strip width of 34 mm and with interior coating of profiles made of solid hardwood. It has very wide utilization, thanks to its technical and thermal characteristics. With the overall heat transfer coefficient for the frame Uf = 1.6 W / m2K for the window Uw = 1.2 W / m2K, (filled with three-layer insulating glass with overall heat transfer coefficient Ug = 0.7 W / m2K) this system belongs to the top offer constructive thermo-isolated system, which contributed to its use in all facilities where, among others, mechanical and other characteristics of the dominant requirement is thermal characteristics of aluminum system.